Alumni Association of NATIONAL RESEARCH MOSCOW STATE UNIVERSITY OF CIVIL ENGINEERING (MGSU/MISI) is an oganization which helps the University to contact with its Alumni, it also attracts students to the public life and the ressing challenges of the University, provides educational work of forming ideology of young professionals, preserve the best traditions of MGSU-MISI. President of Alumni Association - Telychenko Valeriy Ivanovich, MISI graduate, President of NRU MGSU. Vice President of Alumni Association - Glebov Sergey Anatolevich, MISI graduate. 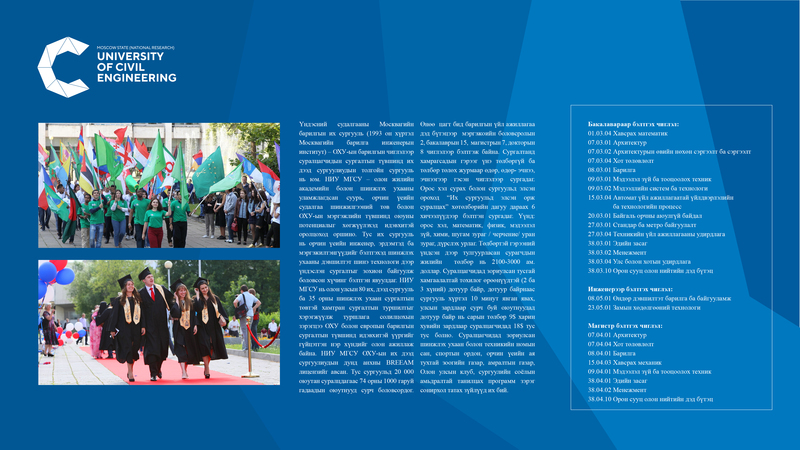 Preparing for the coming 95st anniversary of MGSU has began, it will require the active participation of those who graduated from MGSU-MISI! 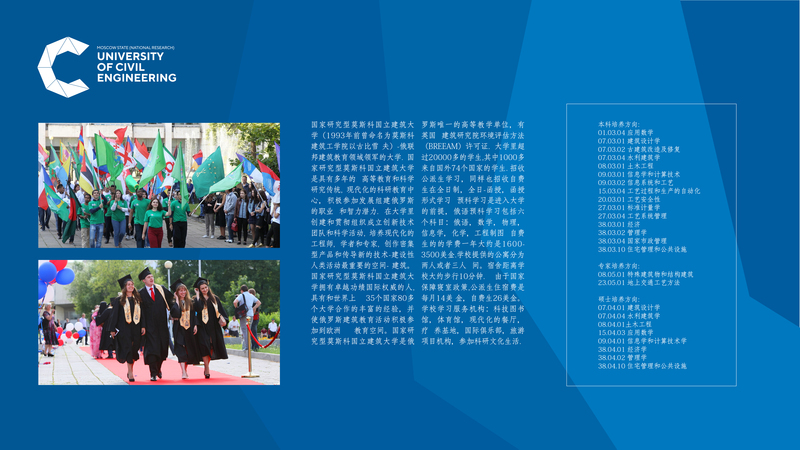 Within the framework of the following preparation the Institute of international education and language communication boosts data collection on graduates MGSU-MISI from different countries. Simply send us your details (your full name, the name of the faculty, which you attended to, year of graduation, contact address, telephone). We will contact You for Your participation in the life of the University!